This post is really late, I’ve been in London for the last two weekends (got some fun stuff to share though) so a bit behind posting this – sorry! Me and my family decided to mix it up this Christmas. That we wouldn’t be in the UK, as mentioned in a previous post about what is good in Budapest, I would be visiting there with my rentals. Through all the Christmas crowds, we made it to The Corinthia Hotel in the centre of Budapest, which we had luckily managed to get an apartment for the festive period. 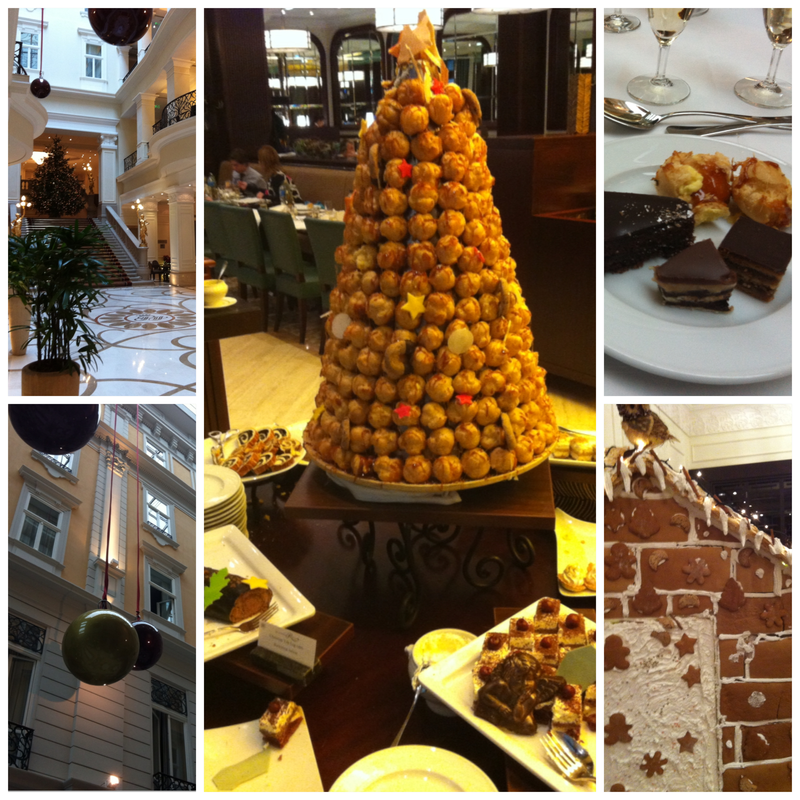 The hotel was decked for Christmas including a huge real Christmas tree covered in gingerbread decorations. There was even a huge gingerbread house, with the guests were nibbling on! We had booked in for the Christmas Day lunch which was probably the best buffet I ever had ( although the Bellagio Casino in Las Vegas might be a contender). Firstly, lots of flutes of Hungarian bubbles to kick things off. There was fresh sushi, charcuterie, salads, sides of poached salmon and soups. That was just the starters! We also tried a freshly grilled rack of lamb, venison stew, guinea fowl with chestnuts, celeriac dauphinoise (or dolphin nose as we call it my family! ), Hungarian goulash with dumplings. There was also traditional turkey and all the trimmings but didn’t get round to it with all the other delicious dishes on offer. But my favourite part was the desserts! There was an ice cream bar with all the toppings and sauces you could ever want. A crèpe bar, again with lashings of chocolate sauce. As if that wasn’t enough, there was also a pastry section including sachertorte, strawberry tart, millefeuille, more chocolate delicacies and then the crowning glory a croquembouche. Golden choux pastry puffs, filled with creme patisserie and coated with golden caramel. Delicious and looked beautiful! You could tell that the chefs had fun planning the menu and carrying it out with high-quality ingredients and beautiful presentation. Other than the food, a major part of travelling that I love is the different architecture that a city/ country can have. On Christmas Day evening, I was fortunate for my dad (aka Captain Oddball) managed to get us tickets to see La Boheme at the National State Opera. Not only that but we were SECOND ROW CENTRE! It was incredible and probably the best opera performance I’ve ever seen. The sets were magical (including a beautiful snow scene) and the singers bringing me and the Mothercare to tears. We are fans of Puccini and have seen Madame Butterfly numerous times and different locations around the world and this performance didn’t disappoint. A beautiful way to end Christmas day. The Opera House is very ornate and worth the neck ache taking in all the details. Budapest is such a pretty city and worth an explore, you never know what buildings you might stumble upon. With the weather being a tad frosty, it was the perfect excuse for many, many hot chocolates. 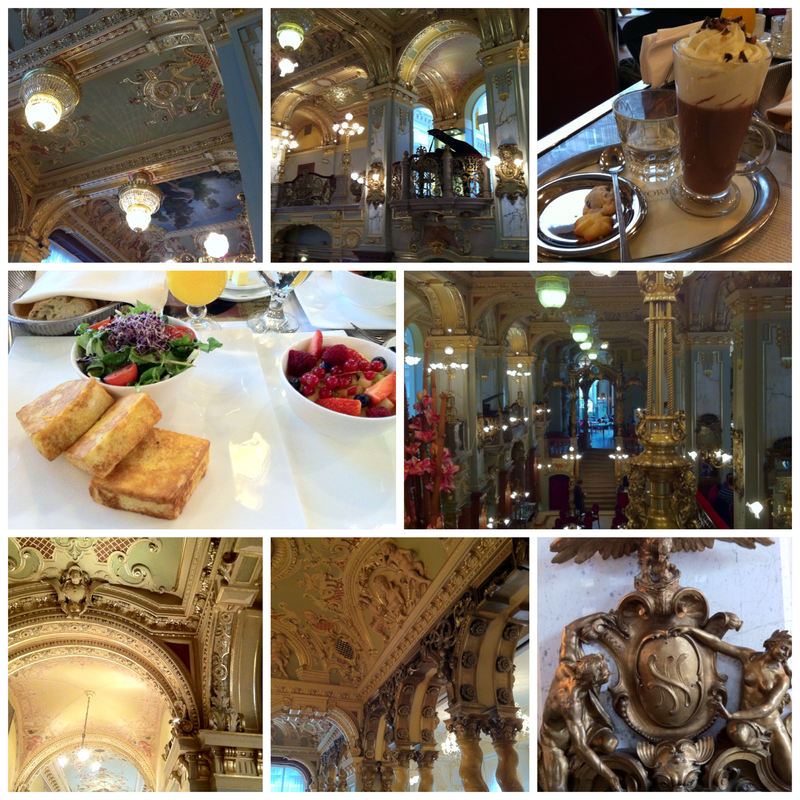 One of the best for breakfast was the New York Cafe . Another beautiful building, full of history and wonder. Its hard to take your eyes off the ceiling and all the decor, that is until the menu turns up. I went for the French toast and the hot chocolate. The toast was nice and crisp, not soggy at all and worked well with a fresh salad. The hot chocolate was intense, so very intense. Served with whipped cream and little cookies, it was a meal in itself and keep me going all through to lunch. Again so intense but very yummy! A recommendation we got from a friend was to visit the Faust Wine Cellar . Set deep below the Hilton hotel on the old Buda side, deep in the Dominican Cloister. 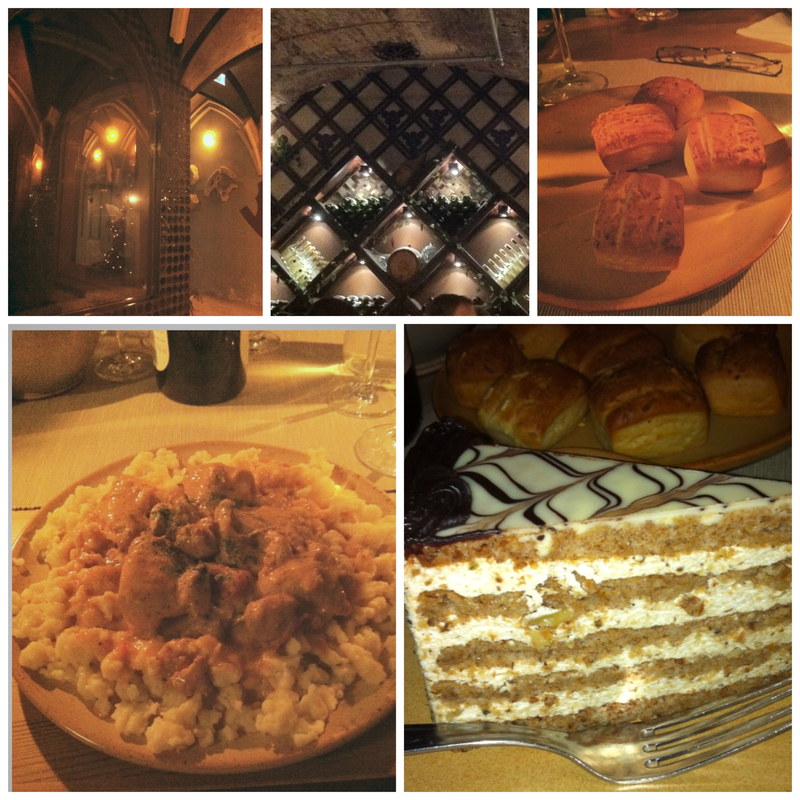 Because it’s dark and atmospheric the pictures aren’t amazing, but the wine tasting and food were brilliant. Run by a husband and wife team, they were so knowledgeable and welcoming. Answering questions and telling information about the family vineyards the wines were from. As well as the wine (which I’ll mention in a bit) but we were also given great food to pair with the wines. We started with warm cheese scones and a cheese selection, which went well with the various wines at different stages of the night. For the mains, we had a fantastic Chicken Paprikás with dumplings. I can’t wait to recreate this dish again at home. The dumplings were light little pillows to carry the buttery rich sauce. It was all nice finished off with the nutty layered Eszterházy cake. So pretty and packed a lovely flavour. Tokaji Aszú, 5 puttonyos 1989 from Bene Winery. I won’t go in detail wine by wine how they tasted and the flavours etc as I really think you should just try them for yourselves. Also, we got to have a glass of our favourite wine to end the night. It was really interesting and a lovely evening. The evening’s activities did bring a glow to our cheeks! 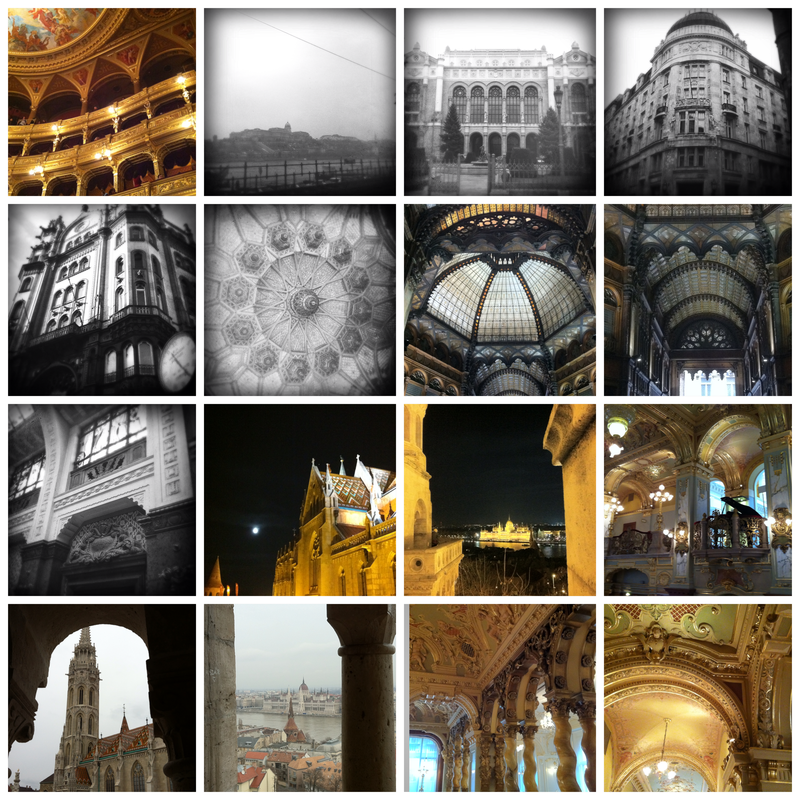 I loved Budapest and fancy going back in a couple of years to allow it to develop more and to have more places to explore.